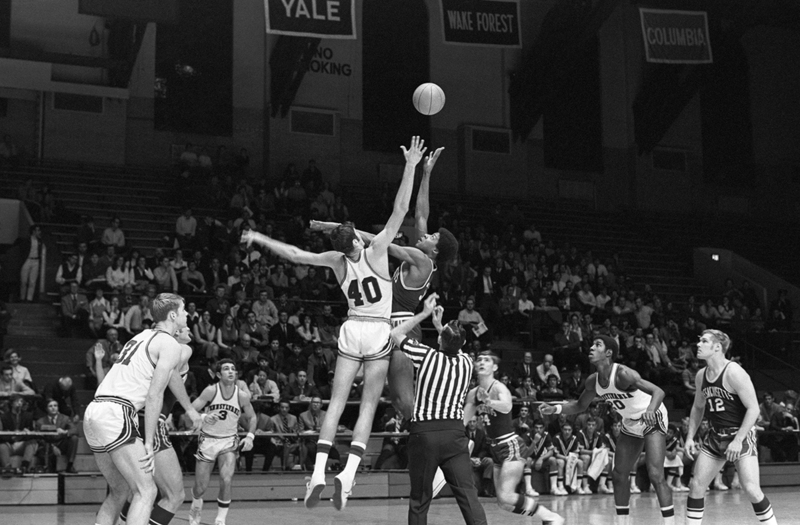 Jim Wolf Jumps Center against Julius Irving and the University of Massachusetts on January 17, 1970, at the Paelstra. Penn won 75-65. Penn players Bob Morse, Dave Wohl, and Corky Calhoun, left to right.